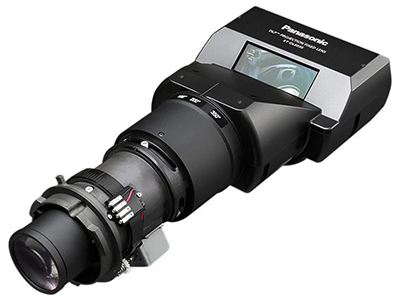 Pana­son­ic ET-DLE035 .38:1 Fixed Lens. This ultra-short mir­rored lens is iden­ti­cal to the orig­i­nal ET-DLE030 but has been redesigned to han­dle the addi­tion­al heat pro­duced by the PT-RZ120 pro­jec­tor. It is still usable in all pre­vi­ous models.